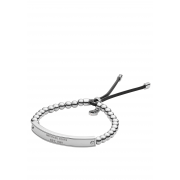 A Michael Kors stretch silver plated bracelet from the jewellery collection. 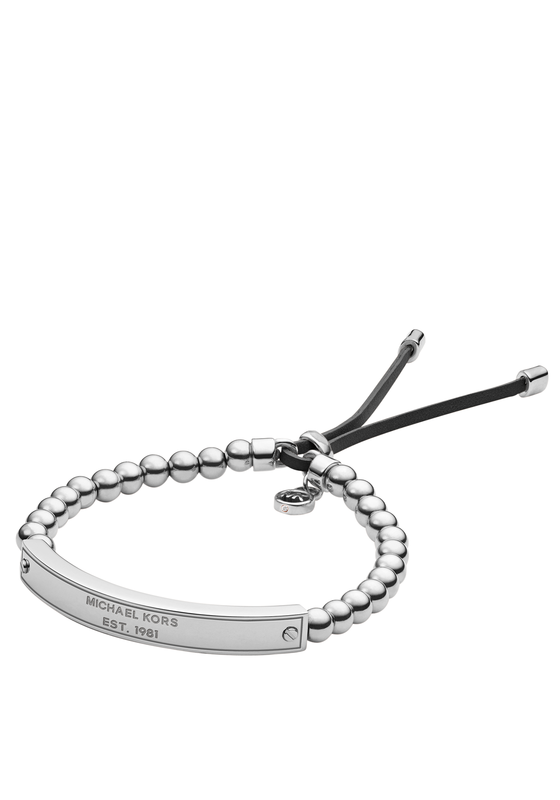 A comfortable bracelet with a stretch design, featuring polished stainless silver beads and a plaque engraved with Michael Kors logo. 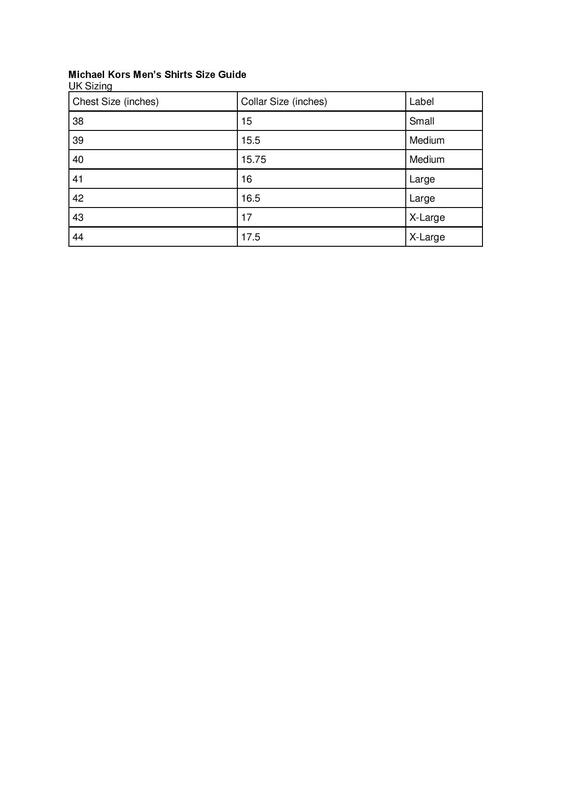 There is an adjustable closure with a cute padlock charm.